...... Another old photograph given to me to copy. 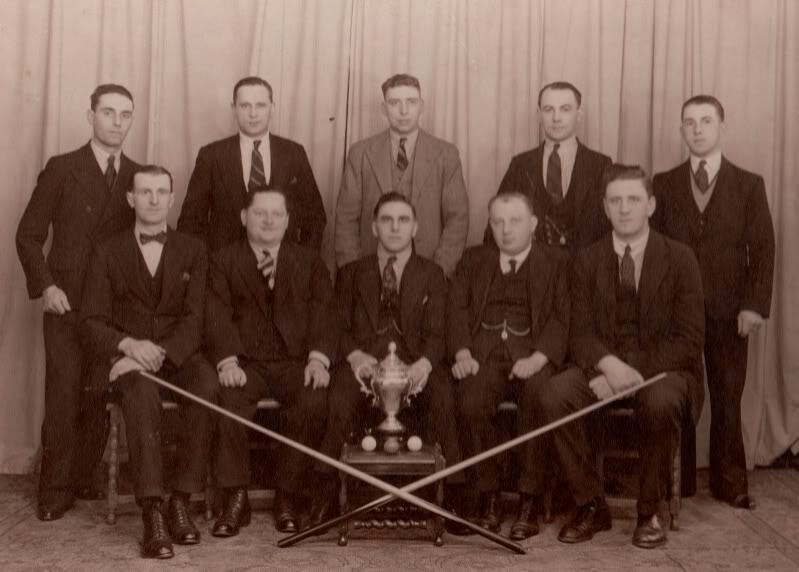 It’s the Kings Lynn Independent Clubs first team when they won the Lynn and District Billiards League some time in the 1930s I think ? Standing, B Cott, D Emerson, F Daws, N Griffen and Charlie Atkinson. Seated, W Howlet. B Bentley, F Gibson capt, G Monument and H Brown.